Wesley Chapel, Fla., October 25th, 2017 – Market Technologies, world leader in market forecasting and proprietor of VantagePoint Intermarket Analysis Trading Software, hosted a three-day seminar for its customers; featuring guest speakers, workshops and networking for traders looking to take their trading success to the next level. Over the weekend, Market Technologies hosted a Power Trader seminar in the Tampa Bay area, local to the company’s headquarters. The transformative seminar was designed for VantagePoint customers who want to become power traders, providing them with invaluable strategies and exclusive access to professional traders who have utilized VantagePoint to maximize their success. 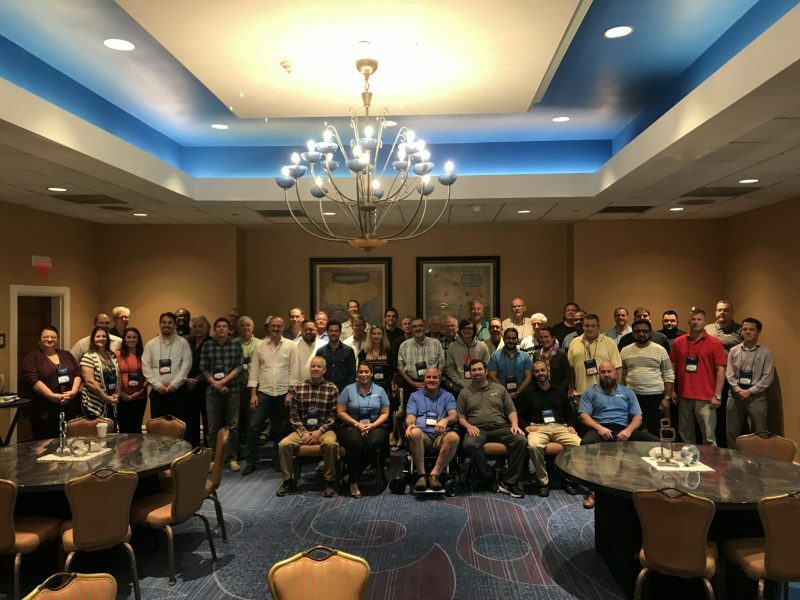 Attendees enjoyed three days of intensive training which included hands-on workshops, interactive presentations and personalized strategy time. They were also able to meet face to face with their account managers and see live trading in action, all while networking with other like-minded traders and presenters. Well-known leaders in the trading industry, with over 60 years of combined professional experience, presented at the event and shared how they incorporate the VantagePoint software into their successful strategies. The presenters consisted of Greg Firman, Matt Golden, Mike Shorr and Gordon Scott. Some of the many topics discussed, included: Avoiding Emotional Style Drift, Using VantagePoint to Trade Forex, Low Maintenance Swing Trade Strategies, Trading options with VantagePoint and Trade Day Preparations. With nearly 25,000 customers located across the globe, VantagePoint had attendees who traveled all the way from Germany, Brazil, United Kingdom and throughout the United States. The company received nothing but positive feedback from all participants. The event was a huge success and Market Technologies looks forward to continuing its mission to empower traders daily and change lives. VantagePoint customers are already looking forward to the next Power Trader Seminar, which will take place early 2018. For more information and to reserve a spot at the next event, traders can call 1-800-732-5407 or visit https://www.vantagepointsoftware.com/contact-us/.